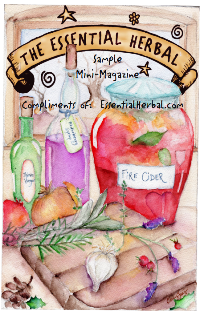 The Essential Herbal Blog: Oops, that isn't yours. 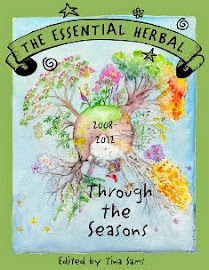 There is something brewing in the herbal community, and it isn't a cup of tea. Once again one of our cherished old remedies is being usurped. This time, it is coming not from big pharma or some large corporation, but seemingly from within. A small family business. I'm not going to name the remedy because that is unnecessary for this ramble. 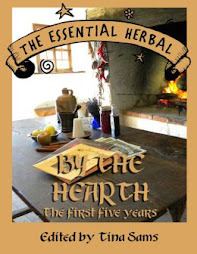 For as long as I can remember (and I've only been involved for a couple decades), most herbalists lead very modest lives. It's not easy to make a living working with herbs for a lot of reasons, much of that being our dedication to each other and the community at large, and an equal amount having to do with various rulings, restrictions, and laws. There are exceptions of course, but generally speaking we live simply and happily among the plants. Herb folks work hard. They struggle with their products, working late into the night to prepare for events, lug tables across several states to set up in the rain, and turn the soil, plant the seeds, stake out their wildcrafting areas, lovingly harvest, painstakingly prepare... it's work folks. Hard work. For everyone. This is compounded by the all too common occurrence of having the rug routinely pulled out from under the community. It seems that every time there is an opportunity to make a profit that would improve our lot, either some upstart arrives out of nowhere and scoops up what we've worked for years building, or a corporation takes it for their own. 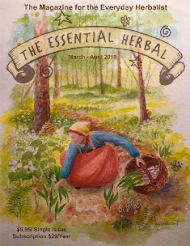 The best example of that I can think of to illustrate it would be when we had our herb shop and spent part of every single week teaching, speaking publicly, and writing how to use herbs for health. Shortly after opening, a pharmacist came in to make fun of our product line - which quickly appeared on their shelves and has become the largest section in their very large store. A chain drugstore took up residence in our small town, and also started carrying all the hip, new herbs. When a "60 Minutes" segment came out extolling the virtues of St John's wort, our customers thanked us for teaching them about it, and bought it cheaper down the street at the drugstore. Now the current issue has to do with the trademarking of a NAME of very common concoction that has been made, used, and sold for as long as I can remember. The party in question is shocked that the herbal community is so upset, because THEY are new to the scene and THEY didn't know it existed before they showed up. This is something that happens to everyone new to herbalism, except this is the first time something so audacious has been the result. They say they were unable to find any reference to this product before they started (variously stated as 2010 and 2011) but a simple Google search using the term with the year 2005 (chosen arbitrarily) turned up many listings that were posted at that time, long before they ever sold their first item. So why is this a big deal? Because this is a very sad precedent that could tear apart the fabric that has been carefully woven by generations of herbalists from around the globe. ... and on and on. These are terms that belong to all of us. They describe what we do. There are many terms that are unique to different fields of work of which I have no understanding. I don't know much about computers if it happens behind the keyboard (see?) and if I'm talking to a mechanic about the car, my eyes glaze over. That doesn't mean that the words they use to describe their work can be stolen. We aren't being mean or (hah) jealous because we weren't the first to consider ripping off an entire community. We are protecting the traditions and heritage that we all know belong to everyone. Name and shame them please, I don't want to put money in their pocket! I read about it over the weekend when common wealth herbs posted about it. Greed is a horrible thing. It's sad that the law even allows this. Greed, again. I seem to remember a yr. or so ago this happened within the homesteading community too. I think with the word homestead or a variation of it. Wait. They said they couldn't find ANY REFERENCE to it before they came on the scene? Oh holy cow. Either they are nit-wits at using google or any other searching device...and I mean old card catalogs too...or they take all of US to be nit-wits. It's insulting, either way. Maybe herbalists should follow the lead of the soapmakers? This is really sad. They must be new to both herbalism and Google! Wow, I've been on vacation and just now reading this! I remember when 'soap loaf' was trademarked and before that 'lotion bar'. These common names just can't be trademarked. 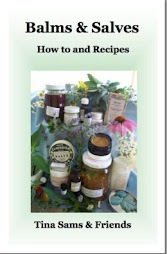 I think our herbalist community is together enough to do this! hogwash, ive been dabbling in herbs 48 yrs. an interest brought on by my father his stories from the village he grew up in. Im computet illiterate nd I csn find almost anything. Someone was trying to trademark the "Soap Loaf" and the soaping community banded together and petitioned the person to stop...and she did. Trademarks are VERY expensive. There are well over 5000 signatures on the petition in a week's time, and the effort is very organized. I will say though, that if through some fluke they get to keep it, they have neglected to notice that their goal is to distribute their product wholesale, nationwide - and those shops they want to carry fire cider? Who do you think they belong to? People like us, that's who! Where is the petition again? They were given the two weeks, but decided they were keeping it. Hey there 2014! Come on in!